In February, we posted an article titled Signing Day in which we explored the high-profile world of high school athletes committing to play sports in college and how the “race to the top” ends up costing parents, families and youth dearly, often to grave disappointment. 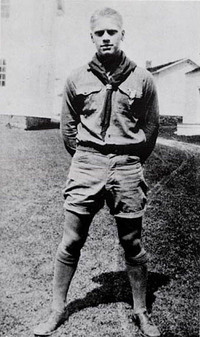 A few months later, Bryan Wendell of Scouting Magazine blogged about the phenomenon as well. More continues to be written about the youth sports craze and how parents can best manage their children’s, and their own, experience and expectations. A recent article in Lacrosse Magazine addresses five big things every parent of a youth lacrosse player should know. Although presented in a lacrosse context, the topics apply to youth sports across the board. We can read the article and ask the same questions from a Scouting perspective. Scouting adds to the diversification dimension by expanding horizons beyond physical fitness and sportsmanship to include citizenship, nature, technology, personal growth and the arts, while allowing youth to actually practice and experience leadership rather than just being led. 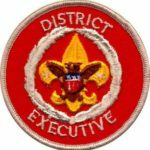 Scouting is inherently affordable; it’s hard to imagine spending even a thousand dollars on a year of typical Scouting programs. When you add in high adventure for maybe a couple thousand more, you’re talking about a mountaintop experience, both literally and figuratively. Even a trip to a world Jamboree won’t run $10,000, and more than coaching sessions and tournament trips, it’ll provide the young person with an experience of a lifetime. What is the age-appropriate level for my child? What is a coach’s philosophy? Have they had a background check? What are their experiences and background? How stable is this program? What is a program’s philosophy? Do kids get equal playing time? Are the officials trained and certified? Do they go to training every year? Will the games, tournaments and events have at least two officials at every game? Are safety precautions in place? Looking at each of these questions from a Scouting perspective, I think it’s easy to answer positively and affirmatively that with our program, adult leader youth protection and training requirements, we do have satisfactory responses for all of them. 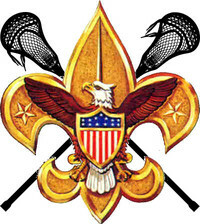 Scouting is age and grade progressive and allows participation at any level of commitment. Our philosophy is easily summed up in the Scout Oath and Law, and with over a hundred years behind us, you can’t argue we’re not stable. Safety and training are uppermost, and adult volunteers are screened with background checks, references and youth protection training. Two-deep leadership is required. And we are inherently a no-tryout, no-cut activity – every Scout participates. There is also advice to parents to read the rule books, preferably before their child steps onto the field, so they can better understand why the coaches are teaching the game the way they are and why the officials are making the decisions that they are. Scouting has no shortage of “rule books” in the form of the youth handbooks, adult leader guidebooks, and publications like the Guide to Safe Scouting. All parents should be encouraged to understand the somewhat different rules we play by in Scouting, and experienced Scouters need to explain the philosophy behind the reason things are the way they are. The bottom line is still that Scouting is a great all-around activity that broadens a youth’s horizons, shows him a nearly infinite range of possibilities, and provides avenues for personal growth, leadership and success that are not available from a single activity. We can learn a lot from the advice given to parents of youth who play organized sports and reflect on how we can support a better program of Scouting – starting with our own kids. We can also use the attributes of the Scouting program to help youth and parents understand what we’re all about, especially now when we’re recruiting Cub Scout-age boys, and that there’s an option for their sons besides sports.